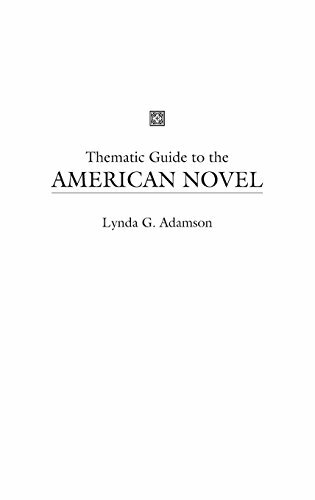 This unique resource provides readers with a systematic guide to the central themes in 150 of the most commonly taught American novels. Each of the 50 well written essays identifies and discusses an important theme, such as Alienation, Corruption of Power, and Immigrant Life that recurs in American literature. The pertinence of these themes is examined in a wide range of novels that reflect this country's cultural diversity and that span the many time periods in America's literary heritage. These novels include the canonical and the contemporary, yet they are all works that are accessible and important to students, and were selected in consultation with educators and experts' published curriculum surveys. The organization of this guide allows users to compare and contrast thematically related novels and also provides help in the selection of titles for classroom discussion and assignments. This thematic guide is organized into 50 narrative essays. Each essay, written expressively with the student in mind, provides in-depth analyses of three American novels. The entries include selected lists of further suggested readings; additional fiction works that relate to the theme explored. Two helpful appendices make this resource even more valuable for the literature collection. One appendix provides additional themes and topics to be explored in the 150 novels. For quick reference, a second appendix organizes the 150 discussed novels alphabetically, identifying both the central and secondary themes for discussion in each. An author/title index, as well as a character/title index, facilitated optimum access to these works.